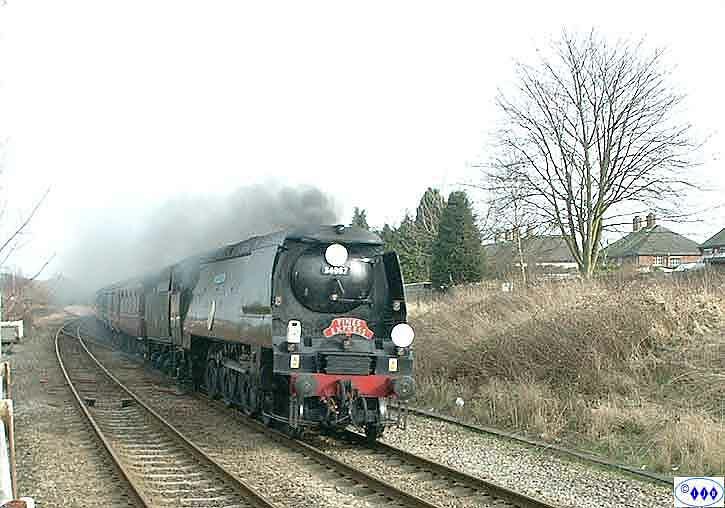 Battle of Britain class pacific number 34067 "Tangmere" makes it onto the main line again. 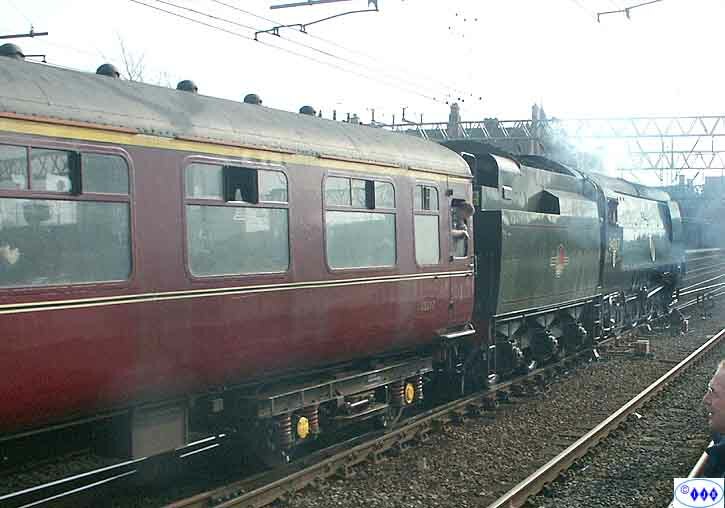 What a fantastic sight as it passed through Crewe to collect mail vans. 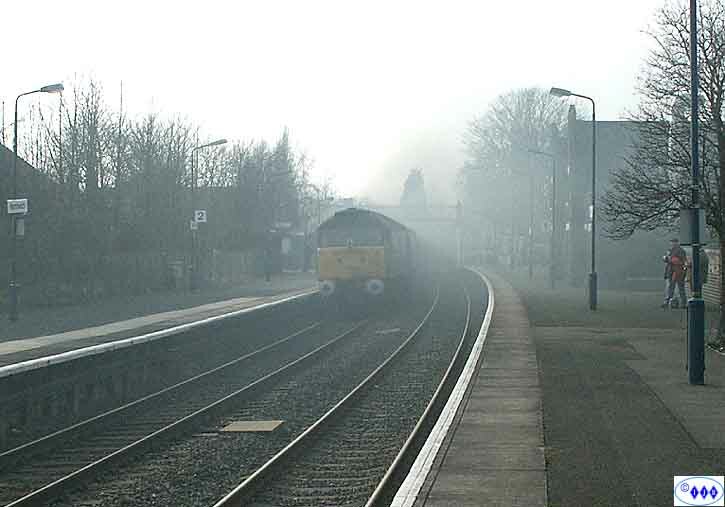 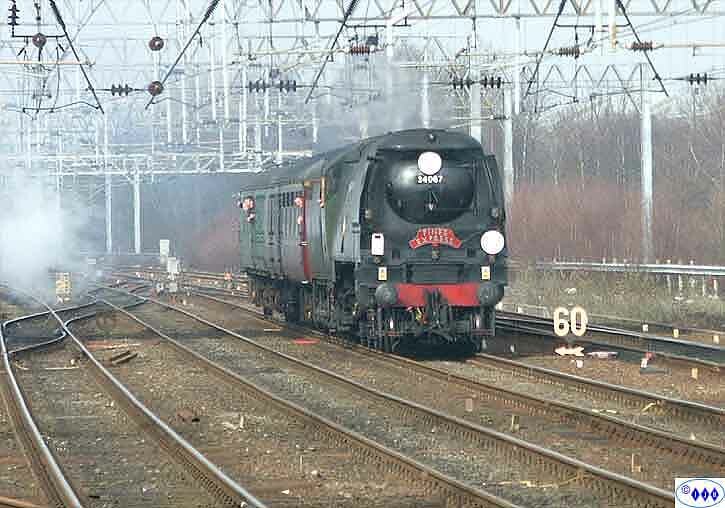 The run was from Crewe to Shrewsbury then Wolverhampton and back to Crewe and is seen here approaching Nantwich. 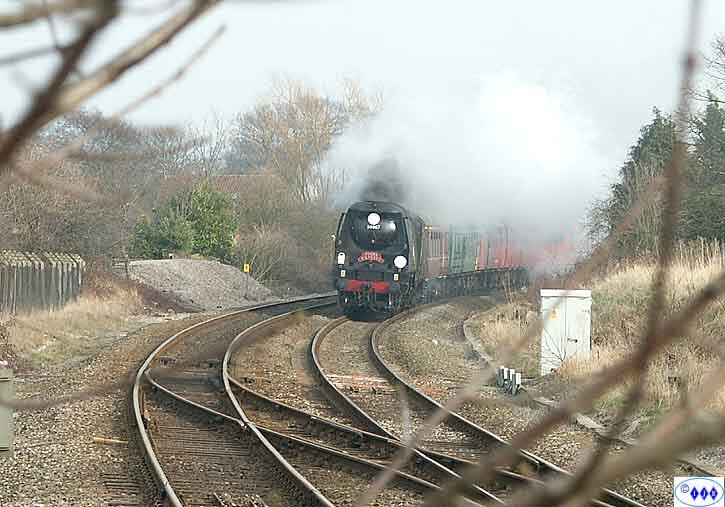 Tacked on the rear end and almost lost in the steam/smoke haze was 47798 "Prince William".